We have had a streak of beautiful blue-sky days here in the city, reaching all of 72 °F (22 °C) on Tuesday. 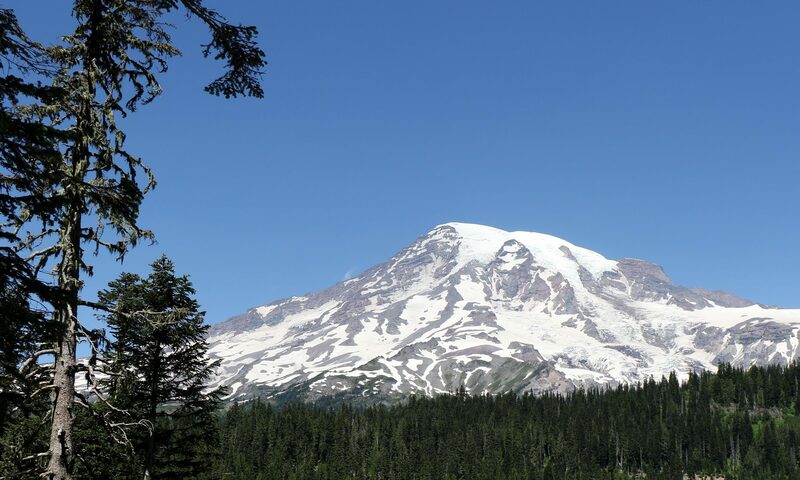 A high pressure system parked above the Pacific Northwest will give us even more clear weather days, all through the weekend, say the meteorologists. 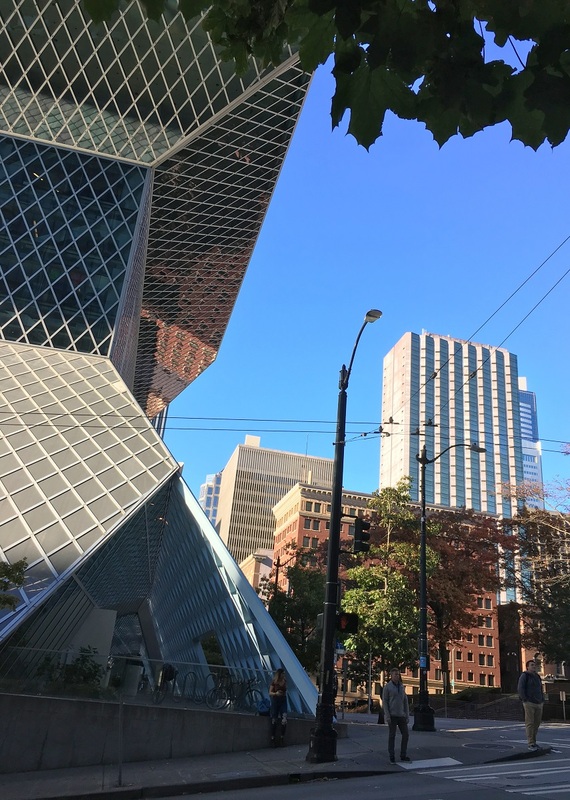 Here’s the corner of Madison St & 5th Ave, as I left the Seattle Central Library on Monday. Just to the top right of the triangular walkway I see a little bit of the City Centre Building where I used to work, then the IBM Building, the red brick vintage Kimpton Hotel, the tall Crowne Plaza Hotel behind it, and finally a little bit of the Union Square building to its right.